TASHKENT -- Political and economic reforms are attracting more foreign companies and multinational brands to do business in Uzbekistan, according to economists. US-based businesses especially have set their sights on new opportunities in Uzbekistan and have expanded their activities and resources throughout the country as they seek to enter the market. For example, Boston Consulting Group, a global management consulting firm headquartered in the United States, is set to help Uzbekistan develop its Innovative Development Strategy. The new strategy, expected to be ready by April, will determine the development focus of each province and is aimed at developing Uzbekistan's construction industry and energy and transportation infrastructure, Tashkent Times reported February 6. McKinsey & Company, a consulting firm based in New York, also has offered to help Uzbekistan create a development strategy for the IT industry. Company representatives met with the Ministry for Development of Information Technologies and Communications on January 30 to discuss the firm's potential participation. The strategy would cover telecommunications, e-government, information security, e-commerce and the training of workers in these fields. "In Uzbekistan, the personnel issue is very critical, particularly in view of the reforms under way," Tashkent-based political analyst Valerii Khan told Caravanserai, adding that "the country has no experience" in conducting reforms. "Since attaining independence in 1991 all the way up to 2016, we followed a path of preservation, not of modernisation," he said. "Therefore, the help of American and other foreign experts is very important to avoid mistakes." In 2016, Shavkat Mirziyoyev became president, succeeding the late Islam Karimov. Mirziyoyev's visit to the United States last September set the foundation for new trade relations between the two countries. Since then, Uzbekistani officials have been working to further strengthen those ties. On February 15, Mirziyoyev met with James Ronald Pollett, vice president of US-based General Electric (GE), to discuss ongoing projects to modernise electric power plants in Uzbekistan. Such projects include the construction of the new Pskem Hydro-electric Station in the Chatkal Range, according to a statement from the president's press service. GE is prepared to co-operate with Uzbekistani businesses on a long-term, full-scale basis, Pollett confirmed. 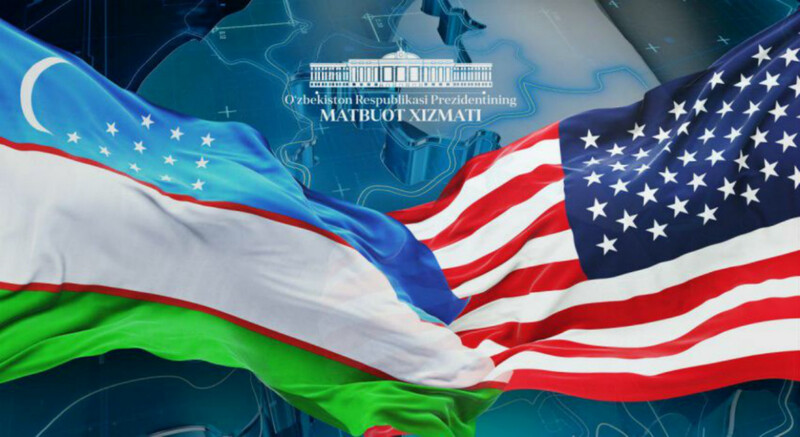 For his part, Mirziyoyev emphasised the importance enhancing the technology partnership between Uzbekistan and the United States in the electrical sector. Other joint projects on natural-gas transport, civil aviation and public health are in the works, the statement said. The opening of an office of White & Case LLP International Law Firm in Tashkent on January 29 was another significant development in Uzbekistani-American relations. The New York-based firm will help create favourable conditions for foreign investors and gain their trust in investing and conducting business in Uzbekistan, according to the Ministry of Justice press office. Leaders of Fortune 500 companies are interested in entering the Uzbekistani market, J.P. Natkin, a partner at the US-based macroeconomic and political strategy firm Macro-Advisory Ltd., told Voice of America January 23. 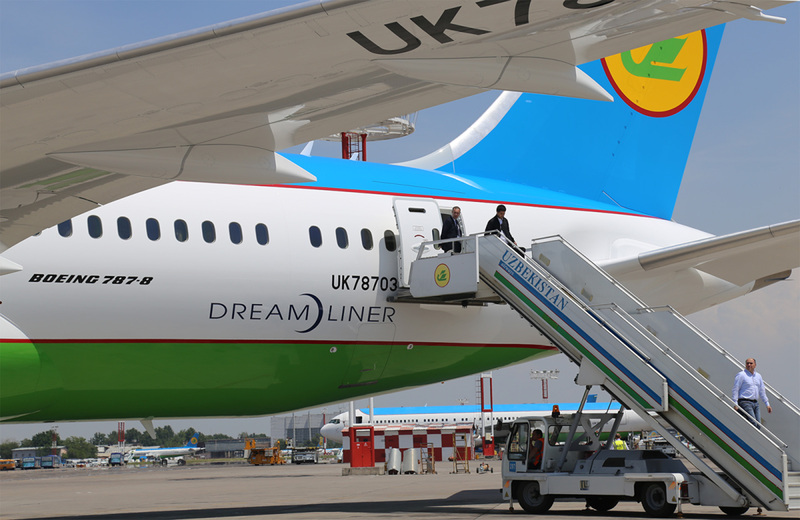 "Right now Uzbekistan is probably the fastest growing market for us, and again, that reflects the interest from corporates and we're working with companies in a wide range of sectors," he said. Those sectors include manufacturing, consumer goods, food, agriculture, pharmaceuticals, healthcare, and energy, Natkin said. American food brands, encouraged by the government's reforms, also are looking to expand into Uzbekistan. Yum! Brands, which owns KFC, confirmed that it is opening one of its fried chicken franchises in Tashkent, Spot.uz reported January 30. The restaurant will employ 35 people, but the opening date is not yet set, according to the owners. "Central Asia, and Uzbekistan in particular, is one of the priorities in development," KFC stated. Uzbekistanis' love of fried chicken indicates the existence of a market for KFC, Ruslan Mamadaliyev, a restaurant manager from Tashkent. Already a number of restaurants are serving up KFC-style fried chicken, he said. "They have similar names, such as Keffi, Tashkent Fried Chicken or Champion Fried Chicken." "The popularity of fried chicken using the Kentucky recipe is so great that we've even coined a term in Uzbek," he said. "The word 'kepsi', a distorted version of 'KFC', designates a similar dish." More than a quarter of foreign investments in Uzbekistan during the first four months of 2018 came from the United States, the Central Bank of Uzbekistan reports. 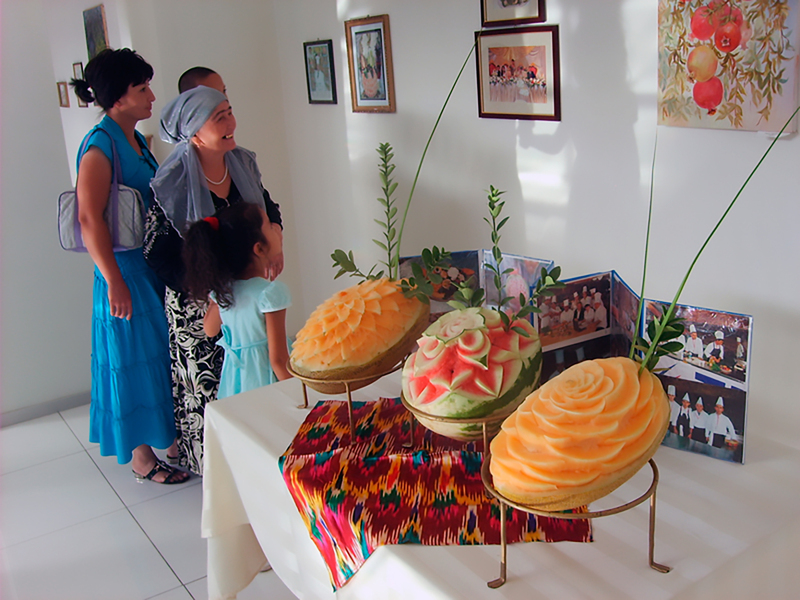 Uzbekistan prides itself on its diverse melons and other agricultural products, and hopes to make inroads into a new American market. Uzbekistani President Shavkat Mirziyoyev's upcoming visit to the United States is attracting unprecedented attention from regional and international media and the expert community.